Capricorn woman aims to succeed. Whether it is in career or as a homemaker, she typically does not do things by halves. This lady is often characterized by goals and practical viewpoints. She is self-patient, motivated, responsible, and down to earth. 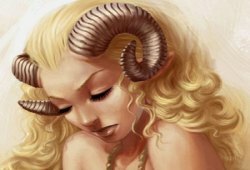 Capricorn woman is among the hardest signs to understand, with a handful of personality traits that often confuse their partners in the early stages of a relationship. 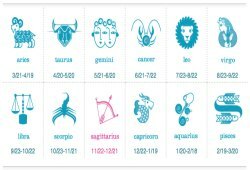 What to know about Capricorn woman? Though the Capricorn woman is romantic and emotional, she may be sometimes inhibited in expressing her emotions. She is very cautious by nature; she is not easy to rush into anything. Thus, do not be misled if her interest seems mainly platonic initially. A Capricorn lady’s greatest strength is the ability to set long-term goals and pursuit them until attained. Nothing should not be in the way of a Capricorn lady’s plans and ambitions; she does not like taking shortcuts or cheating. She values the steady progress of activity and are extremely patient. Bad news affects her less than other signs and rarely holds her back for long. The Capricorn woman often feels the need to challenge herself. Pessimistic by nature, she sometimes has a slight fear of failure or inferiority complex that drives her so difficult to succeed. Praise, respect, and recognition are important to a Capricorn female; as are her public image. Do not underestimate the patience or willpower of a Capricorn woman who is on a mission! She can beat most other signs in a battle of attrition. Work is very important to Capricorns, and she does not take it lightly. In contrast, she holds fast to duty and responsibility. This is partly because she wants to look good in front of the public and partly for the security that such behavior brings. Typically a Capricorn lady prefers employment rather than the greater risk/reward of employment. 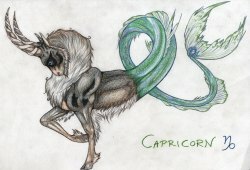 Capricorn woman likes to plan her every move, estimating all the pros and cons of any project in advance, and often rehearsing exactly what she intends to say before she says it. As the result, she often does not like arguing unless it is rehearsed beforehand. Capricorn woman is dependable particularly in a crisis even though she hates chaos and unpredictability. She is willing to give practical advice. The Sea Goat female is not aggressive and only expresses hostility as a defense. On the negative side, she can be suspicious, stubborn, pessimistic, and sometimes intolerant. 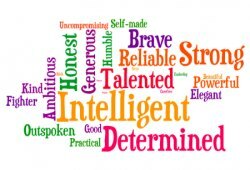 The combination of these traits makes her the hardest sign to get close to for many people.